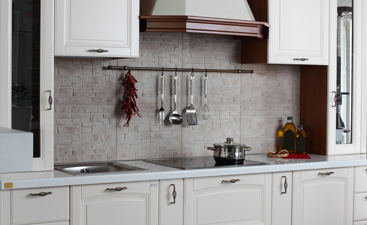 Kitchen Tiles Thousand Oaks: How Much Do I Need For My Backsplash? How Much Tile Do I Need For My Kitchen Backsplash? We see people in the store all the time with little or no idea as to how to calculate how much kitchen backsplash tile they will need to complete their project. Calculating the exact amount is vital for ensuring that you not only have enough, but also don’t spend more than you have to on tile. If you’re wondering how to calculate the amount of tile you will need for your new kitchen backsplash, the experts at Transworld Tile have you covered. Math: Everyone’s favorite word. While this may sound intimidating, all you will need to calculate is a pencil, measuring tape, and your phone’s calculator. To calculate the square footage of backsplash tile you are going to need, you’re essentially just figuring out the total area of the soon-to-be tiled space. Basically, all you need to do is divide the space up into squares and rectangles, multiply the width by height of each subsection, and add those sections together. Luckily, unless you live on an angle somehow, your cabinets and countertop create a level, or “square” surface. This means that the imaginary “box” between your upper cabinet and countertop will form a square or rectangular space that can be easily measured for width and height. By doing this with each of your upper cabinets and countertop differences, you will have the subsections necessary to find the total square area of the space. If you are lucky enough to have a totally flat line on a wall of your upper cabinets, then you can get away with doing only one measurement for length and one for height. Obviously, with 12.75 square footage needed for the area, 13 square feet of kitchen backsplash tile would be enough to cover the area. 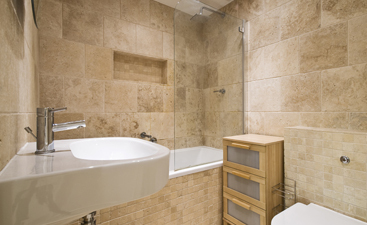 When adding this wall to others, it may be wise to add a square foot of tile or two to allow for oddly cut pieces. Many designers recommend adding 10% to any purchase to be absolutely sure you have enough and to account for any extra space or uses you may choose that tile for in the future. Examples may include applying your backsplash tile to the side of a refrigerator or in a shower soap dish. As your home for the best kitchen tiles in the Thousand Oaks area, Transworld Tile has the inventory and experienced staff necessary to get you the best possible tile. Visit us in person or check out some of our supply online today! 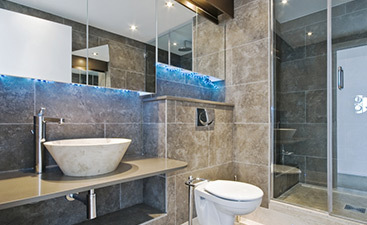 Contact us with your questions or to set an appointment with a tile specialist today!